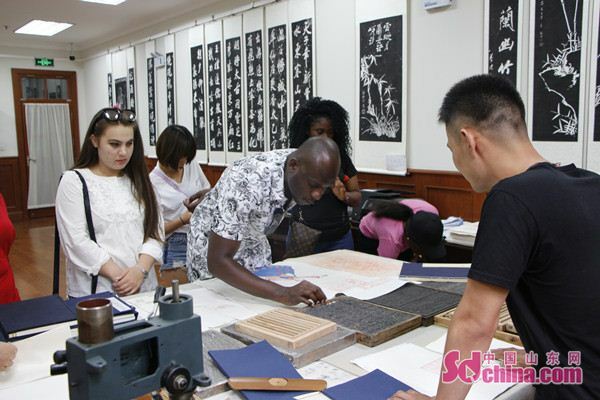 Recently, 10 foreigners from 8 countries arrived at Ni Shan Academy to experience the woodblock printing technique, taking a bite of this traditional Chinese culture. Entering the printing studio, the foreigners were immediately attracted by its antique decoration. The various engraving tools and materials as well as woodcut works on the shelf drew their attention of the foreigners. 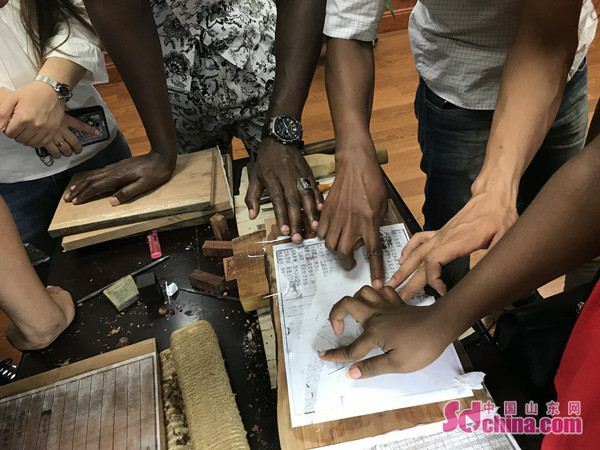 Li Zhenhao, who is in charge of the woodblock printing department of Ni Shan Academy, explained to the foreigners the history of woodblock printing. Woodblock printing usually choose wood with fine texture, such as the jujube wood, pear wood and boxwood, as the major material. Wood of different hardness will be selected based on the precision of the printing materials. "Look at this Tangli wood. With fine, uniform texture and moderate hardness, it is very suitable for carving", said Li Zhenhao. 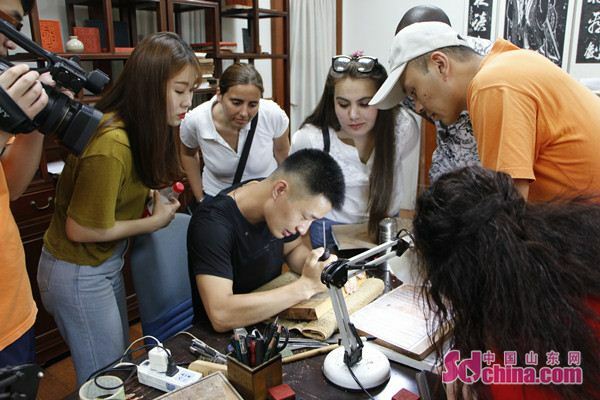 Li then showed the foreigners the first step of woodblock printing. He first evenly spread a bottle of paste on the surface of the woodblock and then placed a sheet of rice paper on it in reverse. "We'll continue the engraving when the paste dries and all the characters and images are transferred to the woodblock," Li said. Next is the process of dabo, a very important step in woodblock printing. It requires high skill. "The rice paper is relatively thick. We need to rub it with strength to make it thin," Li said, "This is called dabo in Chinese. 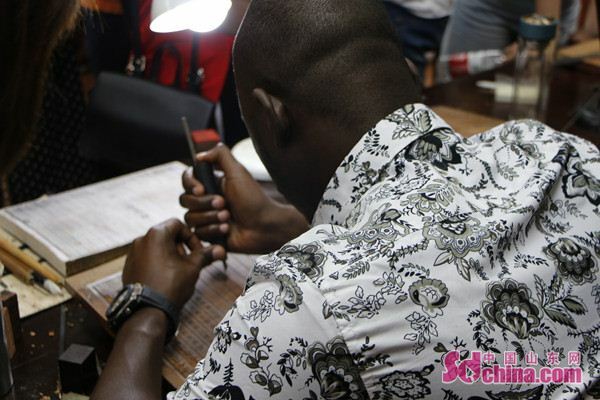 In the end, dip your fingers in water and continue to rub the paper till you can barely see it." Engraving is the most difficult step in woodblock printing, because all the characters and images on the block are reversed. It takes time for beginners to get used to them. But for Li Zhenhao, it is as easy as falling off a log. The elegant Chinese characters came to life through the hands of Li Zhenhao.